Hesquiat Peninsula describes a coastal hiking route along the rugged western shoreline of Hesquiat Peninsula on the west coast of Vancouver Island, BC. 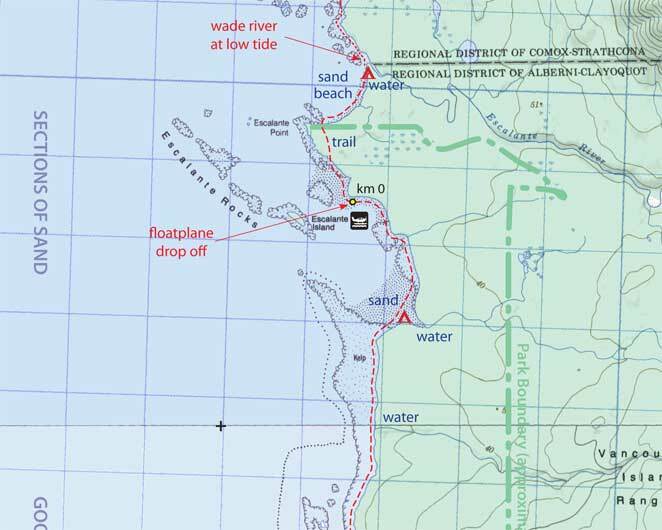 The route is marked on a 1:50,000 scale topographic map and includes information on distances and hiking times, recommended campsites, tide cutoffs, sources of drinking water and noteworthy features. Hesquiat Peninsula is a customized topographic map based on the Canadian NTS Topographic maps and is printed on water-resistant/tearproof synthetic stock.